Are you trying to move up a band score in IELTS Listening? Discovering how to get a good score in IELTS Listening requires paying attention to the IELTS Listening band descriptors in order to discover how to “level up.” After all, moving up a full band score may require significant improvements to your English skills. There is no publicly available IELTS Listening rubric (we wish! 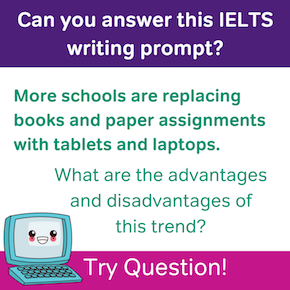 ), but looking at the IELTS band descriptors and carefully evaluating where you are now will help you find exactly which improvements you need to make. You may have gone into the IELTS Listening exam anticipating a higher score than you actually received. That’s okay! First of all, you can improve your score. Second of all, keep in mind that a variety of factors may affect your performance on the IELTS. We’ve said it before, but it’s worth repeating here: if your IELTS Listening score is low, you need to evaluate what happened on test day. For low IELTS Listening band scores in particular, there is also another possible issue to consider. Did you encounter a listening passage in Parts 3 or 4 that was about an academic topic that you know very little about? In theory, IELTS does not require specialized knowledge of any particular subject areas. However, in reality, everyone has strengths and weaknesses in certain academic areas. We’ll talk about how you can prepare for this without reading every textbook you can get your hands on! Why is it important to identify the above issues? Well, they can certainly affect your Listening band score. Maybe they combined with other, content-based issues to give you a band score that you know you can improve. In short? Once you know what caused your lower-than-desired IELTS band score, you can start to find strategies to raise it. It’s important to remember, as well, that not all of the above issues will apply to everyone. If you feel that you understand the test well and that your strategies are sound, it may be that you need to put in time and effort to improve your understanding of spoken English. No matter the case, we’ve put together our top tips to help you level up in IELTS Listening! If you haven’t seen them before (or even if you have! ), you’re probably burning with curiosity to see exactly what those descriptors are. Well, wait no more! These are the general IELTS band descriptors. Combined with your scores from other parts of the IELTS (Reading, Speaking, and Writing), your IELTS Listening score will place you in one of these more general bands. So now that you know (or remember) exactly what each IELTS band means, how can you improve your Listening score to bring your overall band score up? Here’s how! First of all, eliminate basic mistakes. Make sure you’re getting the “low-hanging fruit” (that’s a great idiom for your collection, by the way!). What does this mean? It means to be sure not to miss questions on the easier part of the test, Part 1 and Part 2. When students miss questions in this are, it’s often because they’re making basic mistakes. 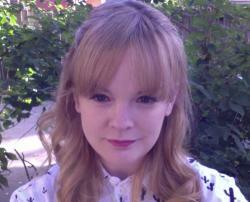 Review your IELTS Listening test strategy. Does it help you prevent these mistakes? If not, here’s what you should keep in mind: the IELTS Listening test requires serious concentration. You listen to a passage only one time, which is part of what makes taking practice exams so important: often in language classes, teachers will play a recording more than once. That won’t happen here. What that means for you as a test-taker is that you should spend most of your time listening. As a consequence, there isn’t much time to mark your answers as you listen. The recording keeps going! Another way this should shape your test-day behavior is by making you move on to the next set of questions the moment you finish one set. Remember that each question set has a new set of directions. The word count for the different short answer questions will change, so be aware of this and stay focused on listening for what they are. This is a good reason to become very familiar with each question type! You don’t want to miss easy questions because you weren’t sure how to answer a particular type of question. If this happens, you will waste time trying to figure out what the question itself means, when you could have used that time to analyze the prompts before listening. This is another skill that comes with practice. Even if you don’t have time for full-length IELTS practice tests (make time! It’s worth it! ), make sure you’re practicing with full-length IELTS Listening sections so that you can practice these transitions. For a lot of students, the transitions cause major losses when it comes to their IELTS Listening band scores. As you practice, and particularly on test day, make it a habit to circle or underline word/number count limits for each set of short answer questions. This will remind you to double-check word/number limits when you transfer answers from your question booklet to your answer sheet. What you do right after you write your responses can have a huge impact on your IELTS Listening band score. One important step is double-checking your spelling. This can impact your score, particularly when it changes meaning. For example, imagine that the first sentence of this section read, “What you do write after you right your responses”? It would make a lot less sense! In addition to your spelling, check your grammar and logic. Specifically, check that your short answer responses make grammatical and logical sense within the surrounding text in the question prompt. What do I mean by that? Take a look at the following example. The speaker would say “meals” in the recording, but the “s” is difficult to hear. Double-checking grammar is one way to avoid this kind of mistake when you transfer your answers to the sheet. Of course, let’s not forget about the actual act of listening itself! That is, after all, what your IELTS Listening band score measures. First of all, don’t get lost during the recording. It’s important to remember that the speakers provide answers to the questions in the same order they appear in your test booklet. For example, the correct answer for question #3 will be given by the speaker(s) before the answer for #4 is spoken. This can make IELTS Listening an exercise in multi-tasking. It is essential as you listen to focus on the current question AND maintain at least some awareness of what to listen for in the next question. You may miss an answer or two during the Listening paper, especially in parts 3 and 4. First of all, know that this is very common. Those are difficult tasks and a lot of students end up missing answers during them. It won’t have a huge impact on your IELTS Listening band score unless you let it affect your work going forward. If you realize you’ve missed answering a question just shrug (on the inside) and say (to yourself), “Well, I’ll get the next one.” Then, keep an eye on the next question and move on. The most important thing is to stay calm and don’t panic. Find your place within the question set and do your best from there. You have not just ruined your IELTS Listening band score—but panicking won’t help it! As we mentioned earlier, a lack of knowledge about a particular academic topic can hold you back. But it’s not a working knowledge of that subject you need—it’s the vocabulary that goes with the topic. Lesson? Develop your vocabulary! Like all of the IELTS sections, IELTS Listening rewards a large vocabulary. How can you benefit from knowing this? Improve yours! 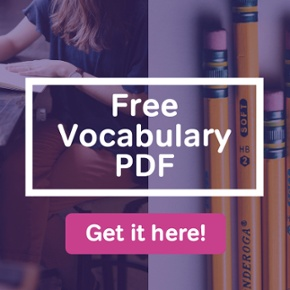 Learn 10-15 new words every day and keep a vocabulary journal. 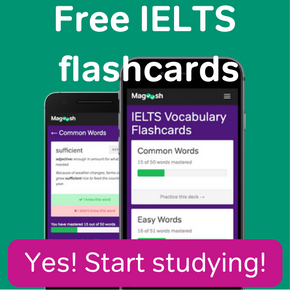 This is another place where Magoosh can help out: with our IELTS Vocabulary App! Getting into an academic mindset is also important. Listen to academic discussions and lectures regularly. Try to earn some extra points in Parts 3 and 4 of the test. There are few shortcuts to improve in these sections, but that doesn’t mean it’s impossible to improve your Listening band score! It just means that you’ll have to increase your comprehension of difficult and academic subject matter. The best way to do this is to regularly listen to similar content. There are a few good places to find this type of content: TED Talks are great for practice, as is talk radio from the BBC, NPR, CBC (canada), Australian Broadcasting Corporation, and Radio New Zealand. Try to listen to 15-20 minutes of content each day. Aim for variety: don’t just stick to topics that interest you. Most programs/talk shows have written material on the website related to the stories being discussed. Use that material to help you understand the discussion. If you’re having a lot of difficulty understanding the speakers, read the content before you listen to get some background on the topic. Improving your language skills can be a long process. Luckily, you can bookmark this page and return as often as you need to! For reference, here are the most important steps to raising your IELTS Listening score and meeting the IELTS Listening band descriptors. By incorporating those steps into your regular practice, you’ll give yourself the best possible shot at leveling up on IELTS Listening. 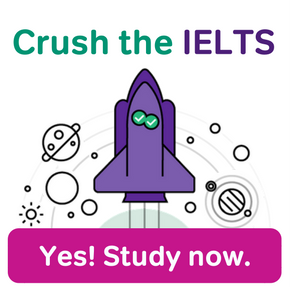 Interested in improving your score for the other parts of the IELTS? See our accompanying posts on the band descriptors for Speaking, Reading, and Writing. Amazing article. It will definitely help me getting 8 band in my upcoming IELTS exam.